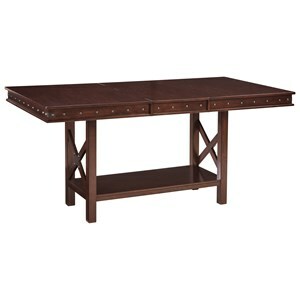 Nailhead detail along the apron of this counter extension table creates a sophisticated look. X-details connect the legs to complete the table's design. 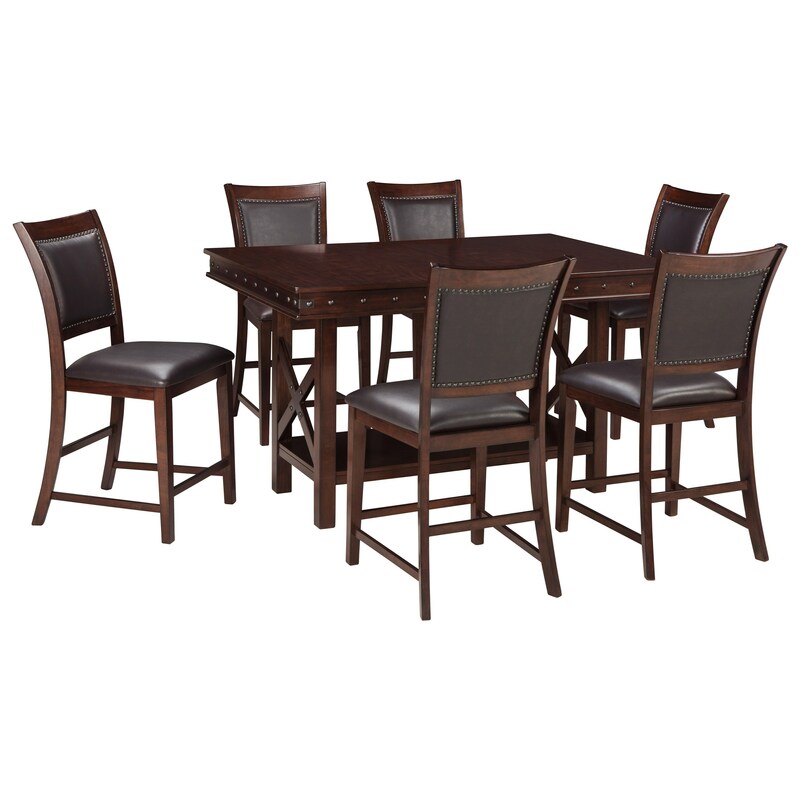 An 18-inch leaf allows the table to expand to seat up to 8 diners. 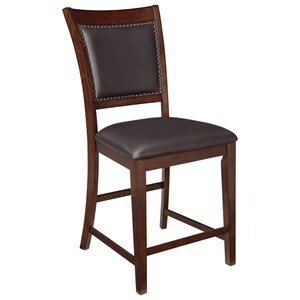 Nailhead trim adds elegance to the upholstered counter height barstool. 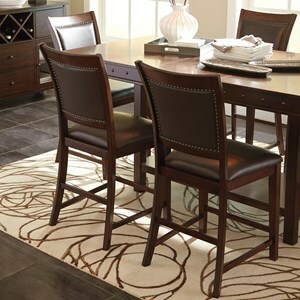 Dark brown faux leather goes well with the dark brown finish of the wood, and will look great in any dining room decor. 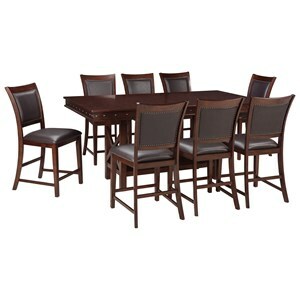 The Collenburg 7-Piece Counter Table Set by Signature Design by Ashley at Value City Furniture in the New Jersey, NJ, Staten Island, Hoboken area. Product availability may vary. Contact us for the most current availability on this product.